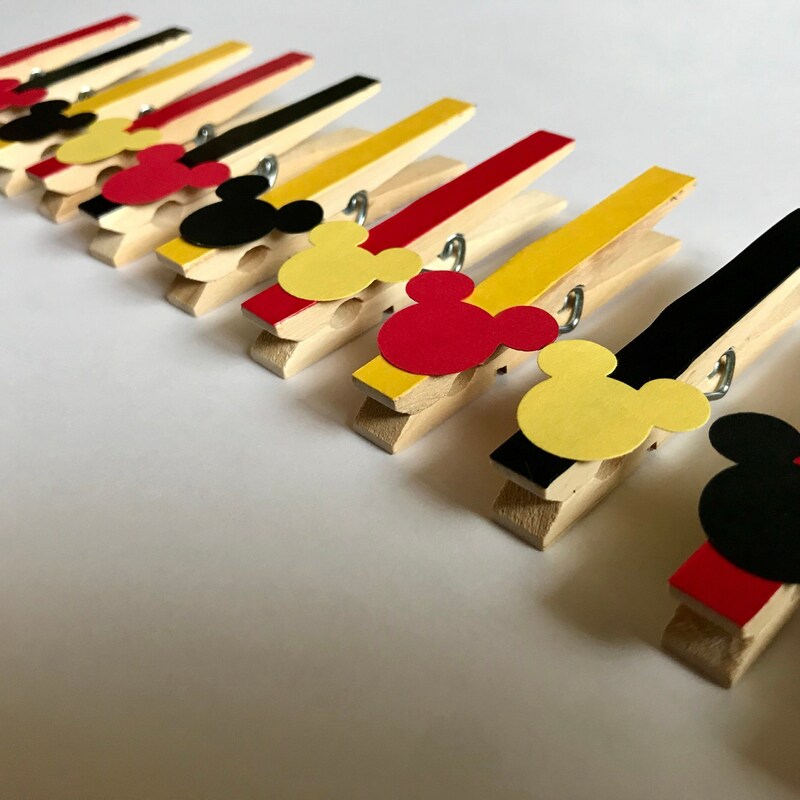 Get a set of 12 Mickey Mouse clothespin magnets that are perfect for the first birthday party photo banner! Then you can use them beyond the party as magnets! Also great treat bag clips and fish extender gifts! Each clothespin in this SET OF 12 measures approx. 3 1/4" tall x 1/2" wide.